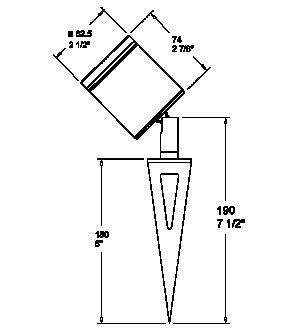 The Spike Spot Stake Mount is designed for easy insertion into the earth and can be easily aimed by angling the luminaire in the desired direction. This fixture is ideal for illuminating bushes and trees from ground level. This version of the Spike Spot has the power wires exiting through the knuckle under the stake.